1.9 How to Apply for Telangana Surveyor Recruitment 2017? Telangana Revenue Department Recruitment 2017 Notification released. Apply online for 2779 TS Deputy Surveyor, VRO, VRA, Jr Assistant and other posts before the last date. More details about this Telangana Dy Surveyor Recruitment 2017 such as TSPSC Vacancy, Telangana PSC Eligibility, TSPSC Deputy Surveyor Exam Date, Pay Scale, etc. are mentioned in detail below. 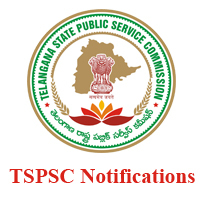 The Telangana State Public Service Commission has recently released a notification for filling the vacancies in Survey Settlement and Land Records Subordinate Service. Telangana Revenue Dept Dy Surveyor Recruitment 2017 was issued for recruiting 273 Deputy Survey posts. This is a good news for the candidates who were looking for Government Jobs in Telangana. So, the aspirants who wish to work in Telangana State Government must utilize this opportunity. The officials of Telangana PSC gave a chance to forward your Telangana Deputy Surveyor Online Application from 06/06/2017 to 24/06/2017. So, apply online for Revenue Department Deputy Surveyor Jobs in Telangana before 24th June 2017. Also, check 20000 Teacher Posts in Telangana here. As Telangana turns three this year, Chief Minister K Chandra Sekhar Rao has decided to provide employment opportunities for the jobless youth in the state. So, he directed the authorities of Telangana Public Service Commission to start the recruitment process within a week for appointing 20,000 employees in various departments. But here in this page, we have provided the details of 273 Surveyor posts in the Telangana Revenue Department. The Revenue Department of Telangana manages functions related to the matters of Government lands, excise, commercial tax, registrations, survey and settlements, endowments, and so on. The Eligibility criteria of these Telangana Revenue Department Jobs specify the age limit and educational qualification required. So, check the age limit and education qualification of TS Deputy Surveyor Recruitment 2017 before applying. If you are not eligible for this Telangana Revenue Dept Recruitment 2017, don’t worry; you can check and apply for the Latest TSPSC Notifications here. The age limit of the candidates applying for Revenue Department Telangana Recruitment 2017 is as follows. However, the upper age limit is relaxable for reserved categories as per the rules of the government. SC/ ST/ BC/ Telangana State govt employees: 5 years. Ex-servicemen/ NCC candidates: 3 years. Physically handicapped persons: 10 years. Candidates must have passed Secondary School Certificate Examination or its equivalent exam conducted by Board of Secondary Education, Hyderabad. Aspirants who have passed Intermediate Vocational (Construction Technology) or ITI (Civil Draughtsman) or must have obtained National Council of Vocational Training Certificate in Draughtsman (Civil) Trade are also eligible. Also, check the eligibility of TSPSC Veterinary Assistant Recruitment 2017. Before applying for the Telangana Revenue Department Recruitment 2017, one should know the basic details such as Selection Procedure, Pay Scale, Application Fee, Exam Date, How to apply online, etc. For your convenience, I have provided all those details in the below sections. The officials of Telangana Revenue Department will shortlist the candidates based on their performance in the TS Dy Surveyor Exam 2017. Hence, the final selection will be based on the marks scored in this online or OMR based exam. Each postulant of Telangana Revenue Department Recruitment 2017 must pay Rs. 200/- towards online application processing fee. Apart from this, the candidates must also pay the examination fee of Rs. 80/-. However, the candidates belonging to SC/ ST/ BC/ PH categories of Telangana State are exempted from payment of Examination fee. The Postulants should pay the fee in online mode through SBI ePay by following the given instructions. Candidates who got selected in this TSPSC Deputy Surveyor Recruitment 2017 will get a pay scale of Rs. 22,460 to Rs. 66,330/- per month as per the norms of the government. Also, check TS Vidya Volunteers Recruitment 2017. How to Apply for Dy Surveyor Jobs in Telangana? All the interested and eligible candidates can apply for this TS Deputy Surveyor Recruitment 2017 through the below link from 06/06/2017 to 24/06/2017. Click here for Instructions to apply online for these TSPSC Deputy Surveyor Jobs. The direct link to download Telangana Revenue Department Notification 2017 is given below. So, read the notification carefully and then apply for this TSPSC Deputy Surveyor Jobs before the deadline. The Telangana Government has recently given permission to fill up 2,506 posts in the Revenue department. The Chief Minister K Chandrashekhar Rao guided Chief Secretary SP Singh to make immediate arrangements to fill up these posts immediately. The total number of vacancies available under this Latest Telangana Revenue Department Recruitment 2017 are 2506 posts. He also said that along with this, they will also appoint the skilled candidates in Chief Commissioner Land Administration (CCLA), Stamps and Land Registration and Revenue Department. The officials of Telangana PSC will soon release the official notification regarding this TS Surveyor Recruitment 2017. The last date to submit the online application is not yet released. We will update the same on this page whenever officials release the Apply online link. Meanwhile visit this page regularly for any latest updates regarding these 2506 Revenue Department Jobs in Telangana. Further details about this TSPSC Revenue Dept Vacancies are given below. Aspirants who have passed 10th class or 12th class or ITI in relevant trade or degree from a recognized board are only eligible for this Revenue Department of Telangana Recruitment 2017. If you want to know the Age criteria, then click here. All the selected candidates of TS Revenue Department Recruitment 2017 will get a good pay scale as per the norms of the organization. For more details refer the notification given below. The officials of Telangana Public Service Commission on behalf of Telangana Government will conduct direct recruitment process for filling these vacancies. How to Apply for Telangana Surveyor Recruitment 2017? First of all, visit the official website, i.e., www.tspsc.gov.in or direct link which is given below. Click on “Direct Recruitment” available under Candidate services section. Search for Telangana Revenue Dept Notification 2017 in the list. Now click on TSPSC Apply Online link of the relevant post. Fill the TS Revenue Department application form with correct details. Verify all the details once and click on submit button. If you found this article about Telangana Revenue Department Recruitment 2017 was helpful for you, please do share with your friends. Also, Stay tuned with our www.entranceexams.io site for more details about all Entrance Exams in India.